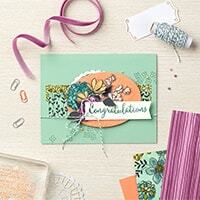 Love What You Do and Share What You Love, Stampin' Up! You have to Love What You Do – and I certainly do! Today is the day I hope that you all have bigger smiles on your faces! Not just because it is May 1 but because it is the beginning of a month of excitement! The anticipation of the new 2018-2019 Stampin’ Up! Annual catalog is drawing closer! And starting today, you can participate in a pre-order of sorts! Yes, the Share What you Love product suite is being released early to you! This has been one of my favorite product suites of all time! I adore the pearlized accents on the stunning Share What You Love Designer Series Paper, doilies and pearls in honor of Stampin’ Up!’s 30th Anniversary! Oh and the Velvet ribbon! From this texture loving fan – it’s a must have! To make it easy for you to purchase these products, Stampin’ Up! has provided you with 3 different bundle options. 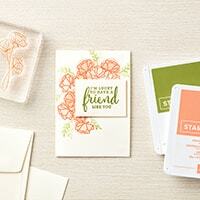 Each bundle includes a free gift from Stampin’ Up! In addition, when you order from me, I have a special gift for you! A set of Tutorials that will knock your socks off! Here’s a peak at the Love What You Do class! You are going to adore it! Just sayin’. Who is in for this one? You can do this class online in the comfort of your own craft space or you can do it in the camaraderie of my classroom in the Product Based Class time on May 23 or May 24. Please plan ahead with your bundle order so that you have your products for this class! Love What You Do Product Class Page – you will absolutely adore this class!